MEDLIFE McGill is proud to introduce the second speaker of our Health Care in Marginalized Communities MEDTalks conference, Helen Hsu! 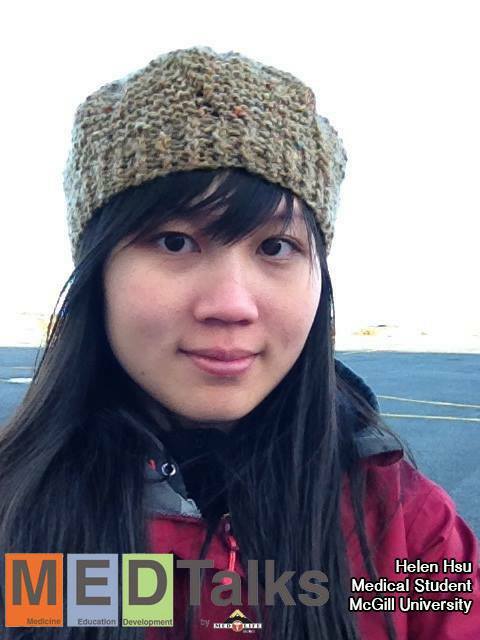 Helen Hsu is a 4th year medical student at McGill University who has worked extensively in Montreal on repealing the federal cuts to refugee healthcare which was put in place in 2012. She has also worked with refugees and vulnerable populations both in Montreal and abroad. She is also the founder of MEDLIFE McGill. She will be speaking about the healthcare challenges facing refugees/immigrants/nonstatus persons. 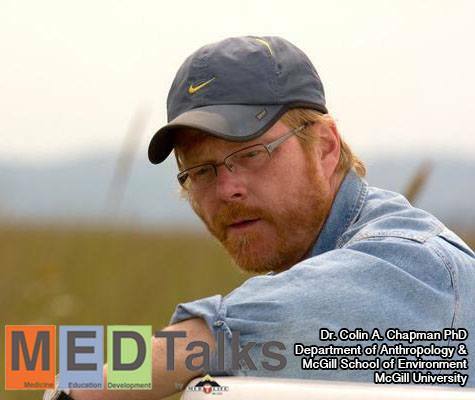 The third speaker of our Health Care in Marginalized Communities MEDTalks conference is Dr. Colin Chapman! Dr. Colin Chapman received his joint Ph.D. in the Departments of Anthropology and Zoology at the University of Alberta. He spent 2 years at McGill and 3 years at Harvard University doing post-doctoral research. Since 1990 he has served as an Honourary lecturer in the Department of Zoology at Makerere University Uganda; and, since 1995, he has been an associate scientist with the Wildlife Conservation Society. Colin also served as a faculty member in Zoology at the University of Florida for 11 years, and returned to McGill in 2004 to take up a professorship in the Department of Anthropology and McGill School of Environment, where he holds a Canada Research Chair Tier 1 position in Primate Ecology and Conservation, is a Killam Research Fellow, and is a fellow of the Royal Society of Canada. He has conducted research in Kibale National Park in Uganda for 25 years and is interested in the roles of disease, nutrition, and stress in determining primate abundance and how to best to forge a harmony between the needs of local people and conservation. Kaila de Boer is the fourth speaker of the Health Care in Marginalized Communities MEDTalks conference! 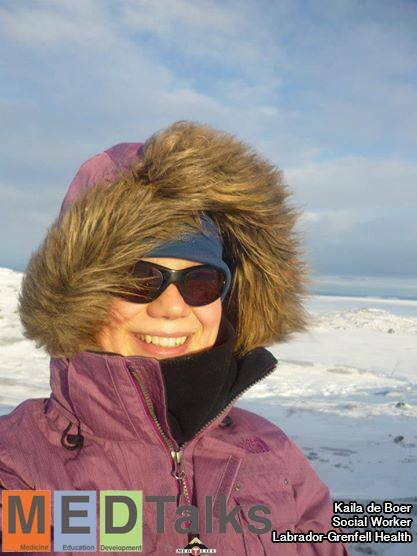 Kaila de Boer is a social worker with a background working in Mental Health and Addictions Counseling with the Inuit community of Hopedale, Labrador (pop 550, no road access). Employed by Labrador-Grenfell Health, the regional health authority, she provided individual, couple, family, group, and community-level services in a highly collaborative and interdisciplinary manner. 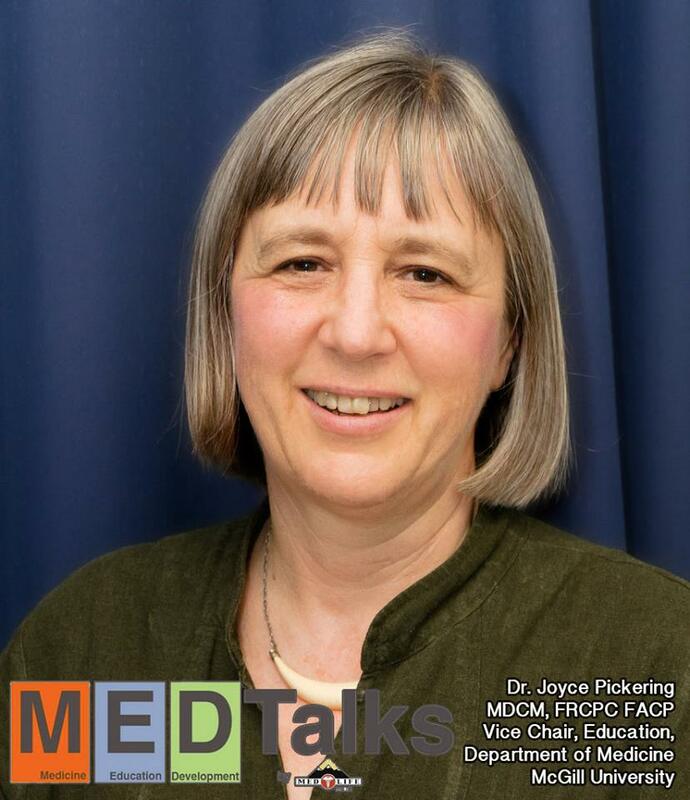 Living within the community and collaborating extensively across disciplines and agencies she garnered a unique experience of how to improve health and mental health in underprivileged communities. The focus of this presentation will be the strengths and challenges of work in small and isolated communities of Canada’s north. If you are interested in learning more about Kaila or any of our other amazing speakers, please come to Leacock room 219 from 6:30pm – 9:30pm for our Health Care in Marginalized Communities MEDTalks conference!